Coming July 4, 2018. 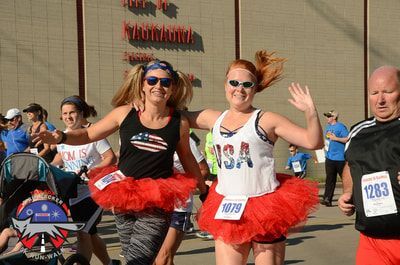 Kick your 4th off with a bang at the Fox Firecracker 5K Run/Walk! This family-friendly event takes place in Kaukauna, just south of Green Bay, Wisconsin. The race takes you through the downtown streets and is professionally timed with awards given to the top 3 overall female and male finishers and top 3 winner in each age group. There will be plenty of fanfare with skydivers, the University of Wisconsin Marching Band, American flags for all the finishers, live music, and the quintessential American dessert – apple pie!